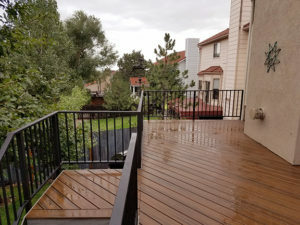 As you can see on this deck, you can mix and match the color options with composite decking. 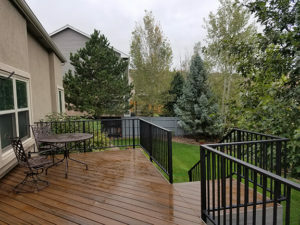 This is built with Trex Transcend decking with hidden fasteners. The handrail is a fascia mounted railing that is powder coated and with powder coating the options are almost endless. 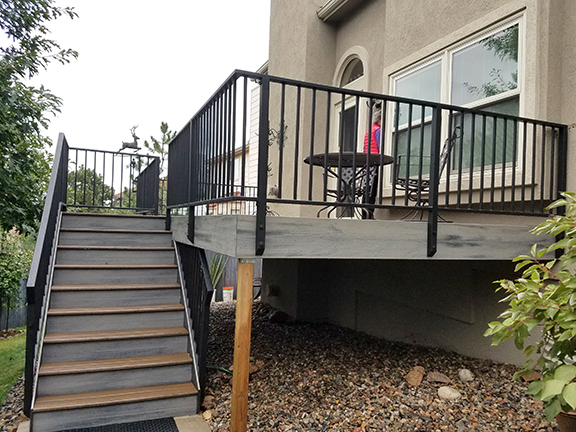 Having a welded railing is the best railing you can have!